Boys and Girls Clubs of Santa Cruz County > Club News > Happenings > Craft Fair 2015 a Huge Success! 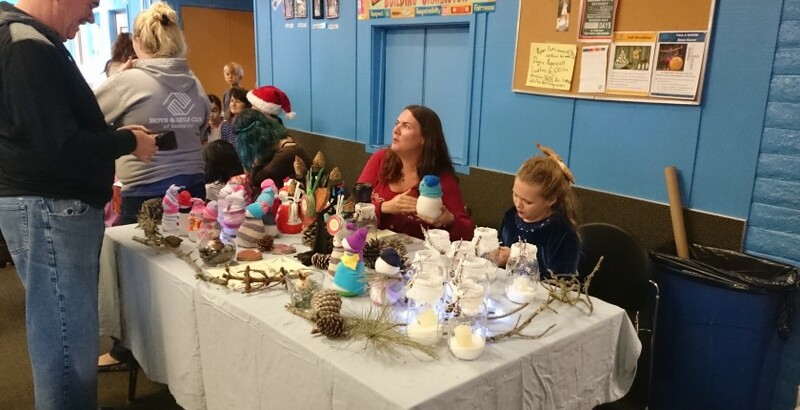 Craft Fair 2015 a Huge Success! More vendors and more customers than ever made this year’s Craft Fair a busy, bustling, festive event! Santa Cruz youth turned out a wonderful assortment of high quality, very creative, well-priced gift and decoration items for our Annual Children’s Holiday Craft and Food Fair. Even the littlest kids had a blast, seeing their products appreciated, and having the opportunity to do their own shopping with their own, well-earned money! Open to all Santa Cruz youth (18 and under), registration opens in September.